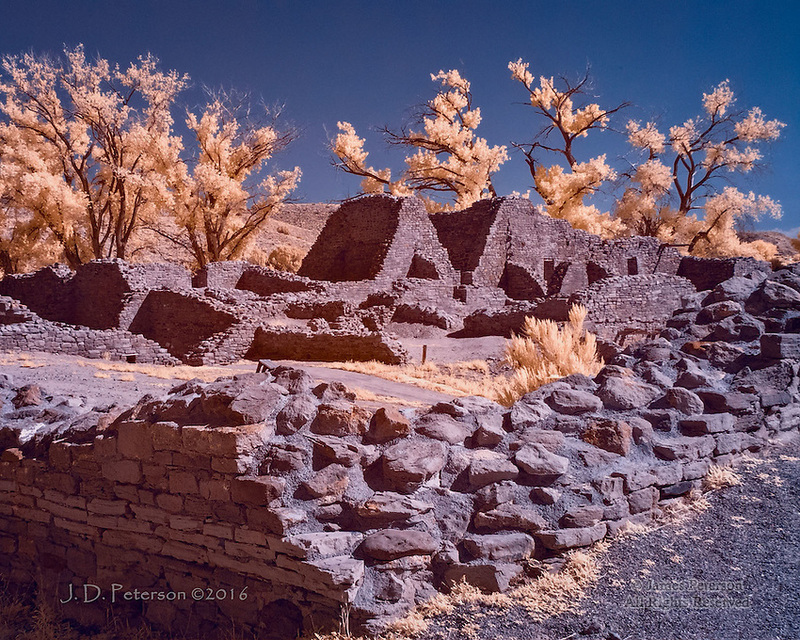 Aztec Ruins from Above (Infrared) ©2016 James D Peterson. This is one of the best preserved - and reconstructed - Anasazi villages in the Southwest, and also one of the easiest to visit. Because it's situated near the Animus River, it is surrounded by Cottonwood trees.